With two kids living under our roof it’s more often than not that our house is a mess. Counter tops, bathrooms, floors, just to name a few, are constantly dirty with random spills, food, dust you name it! I’m sure all the parents out there can relate; there seems to always be something to clean up. That’s why my husband and I are always looking for great products to help keep our house clean. But not only is the cleanliness important, the actual product itself is what makes the difference. Having natural, chemical free, odourless and environmentally safe products is extremely important to us. That’s why after I had the opportunity to meet some of the people behind the company Aspen Clean and hear about their products and services, I knew I had to try. And what’s even more amazing about this company is all they have to offer. Not only can you find great products, but they also offer a full cleaning service that come to you**! I had the opportunity to try out a number of their products including a kitchen cleaner, bathroom cleaner, all purpose cleaner, glass cleaner and a scrub. And each came with its own matching microfibre cloth. I was super impressed with these products. I used them on all of my counter tops, glass tables, sinks, toilets, you name it. A perfect clean without the lingering odour that you get with other products. It was quite a difference. Their products are also pet-friendly, and are much safer to use in homes with animals than traditional cleaning products. AspenClean offers several unique cleaning products online and through select retailers, such as Whole Foods, Pusateri’s and Community Natural Foods, as well as online through Well.ca and MyVivaStore.com. Trust me when I say the product and services are well worth it, and definitely think you should give it a try! So for all you moms out there that think its time to hand some housework over to dad, our friends at Aspen Clean are offering a special Fathers Day Giveaway! Yes! Always need a good one for that room! I would love to try the all purpose cleaner, so much can be cleaned with that one!! Thank you so much for this wonderful giveaway!! I would love to try the dish soap! I have not tried their products, and yes hubby could sure use these! With Organic Lavender & Lime Essential Oils. I would like to try the dish soap. I’d love to try the bathroom cleaner! Thanks! Would love to try the bathroom cleaner since that is the room I seem to be forever cleaning! I’d love to try the Lavender and Lime bathroom cleaner. I would also love to try the Glass cleaner and the microfibre cloth. I have never mastered cleaning windows! 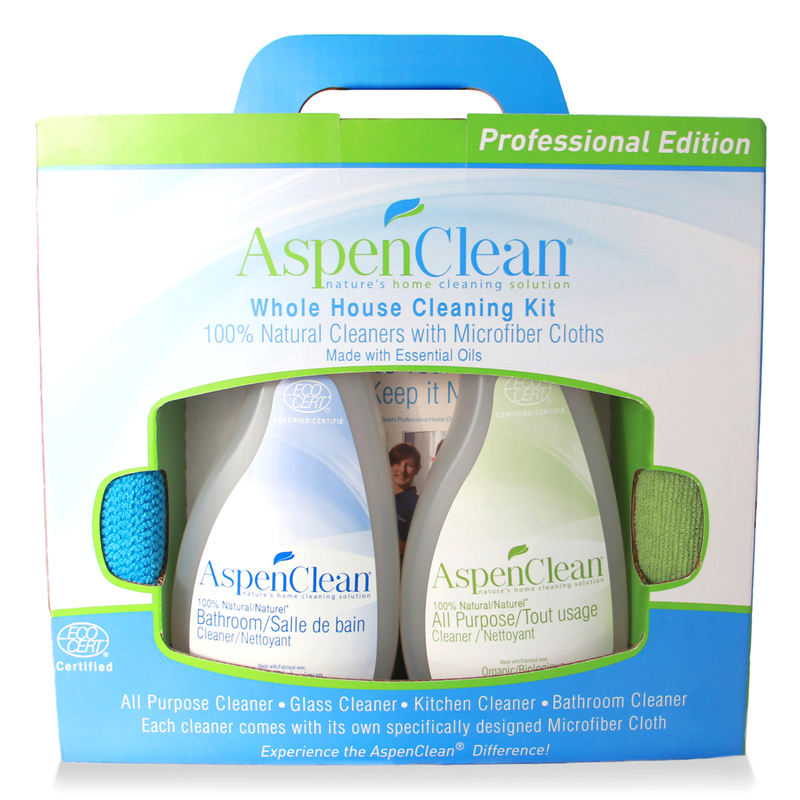 It would be great to win the Aspen Clean Whole House Cleaning Kit. I would like to try the glass cleaner. I think I would really like to try the Lavender and Lime Bathroom Cleaner. Seems to be the consensus! Good luck! I would like to try the bathroom cleaner. Kids. Grime. Bathtub. Yuck!! I want to scrub away that dirty ring with the Aspen Clean Superscrub Powder! It’s good I love it!